Ski Town Condos develops relationships with local attractions, allowing us to offer and package incredible deals year round. These quality attractions are small and most are family run - they all offer a unique Colorado experience. 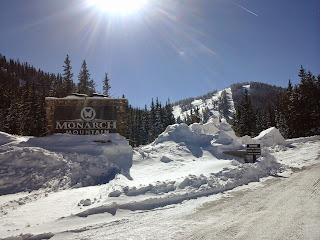 Monarch Mountain - Located only 3 miles from Ski Town Condos. One of Colorado Gems. The GEMS are Colorado’s best hidden treasures. Free of paid parking, free of crowds, free of lift lines, free of hassles. With down-to-earth prices, these resorts offer instant access to world-class terrain. The Gems are perfect for those seeking the authentic Colorado skiing or snowboarding experience. Monarch Snowmobile Tours - Located with-in walking distance from Ski Town Condos. Comfort, convenience, the best prices in the industry, and their friendly knowledgeable staff make Monarch Tours an unforgettable winter experience. Mt Princeton Hot Springs - Located 35 miles from Ski Town Condos. The Historic Bath House was established in 1867. Here you may enjoy the soaking pools reaching temperatures up to 105 degrees Fahrenheit and the exercise pool in the 90s. My favorite are the Creek-side hot spring pools. These are broken down into natural individual pools raging in temperatures from 70 degrees Fahrenheit to 120 degrees Fahrenheit.